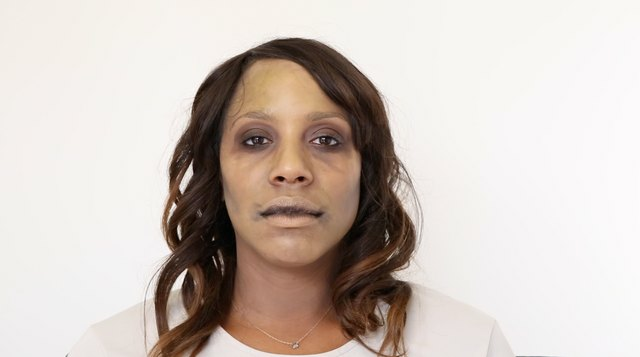 If you're a fan of movies and TV shows featuring vacant-eyed, flesh-eating zombies, like "The Walking Dead," "Zombieland" or "28 Days Later," then this is the perfect Halloween makeup tutorial for you. 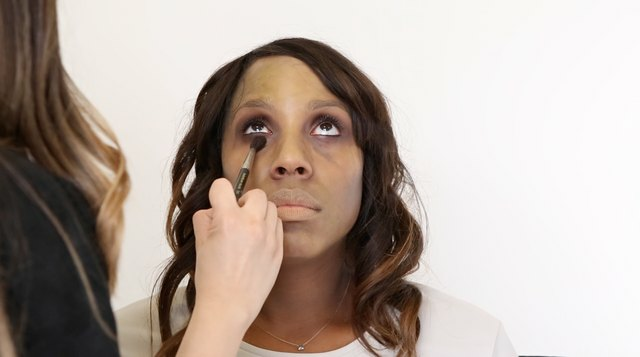 With a few sickly shades of face paint, several dark eyeshadows, and various makeup brushes for blending, you can easily create a party-ready look that will strike fear into the hearts of the living. 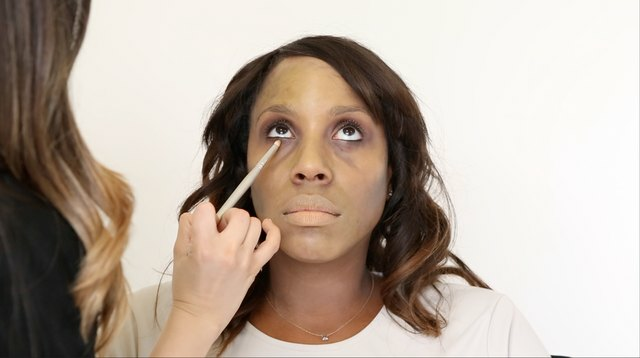 Apply primer to your face and eyelids. 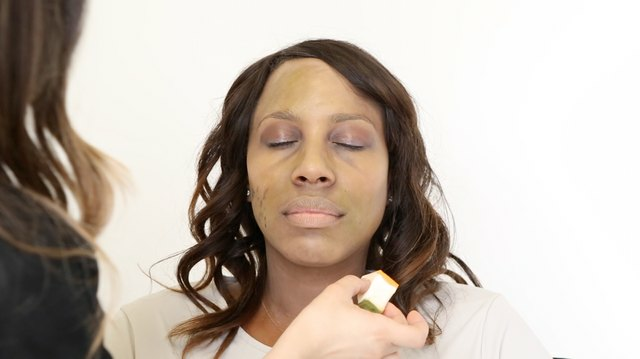 Use a beauty blender to apply a light shade of foundation to your face. 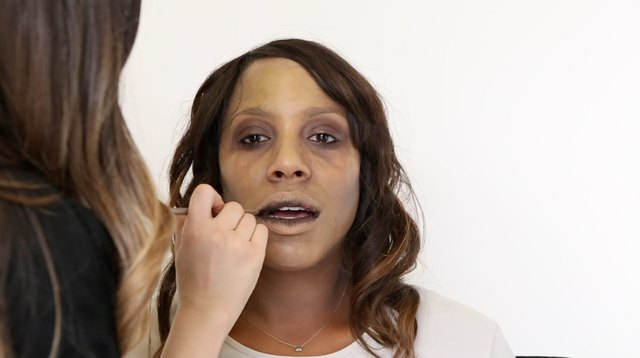 Don't smooth it out and leave it a bit splotchy — you are going for an undead look, after all. 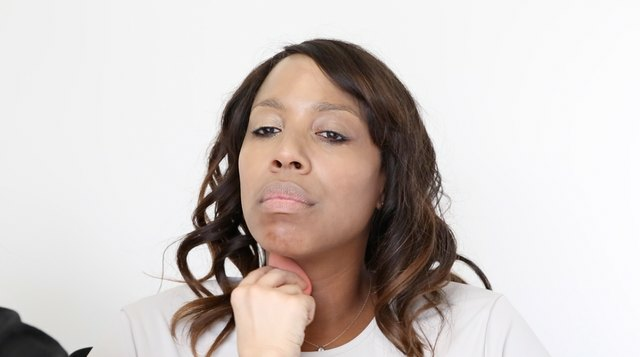 Be sure to apply foundation to your neck and over your lips as well. Apply a dark shade of purple cream eyeshadow to both your upper and lower eyelids. Apply dark brown eyeshadow to the crease of your eyelid to create a sunk in effect. Apply dark brown shadow along your under-eye area and drag it down toward the apple of your cheek with a blush and blend. 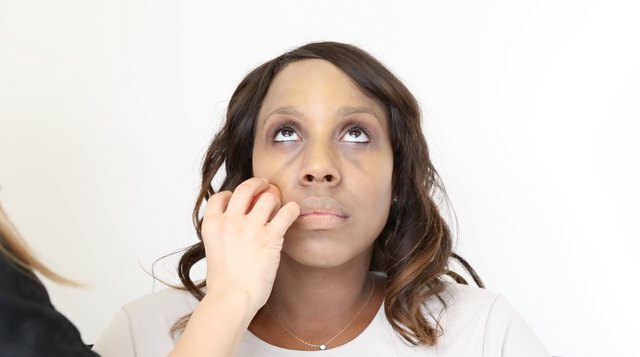 This will accentuate your under eye bags and add to that sunk in eye look. Use a flat brush to apply more dark brown shadow along your under-eye area and around your nostrils. 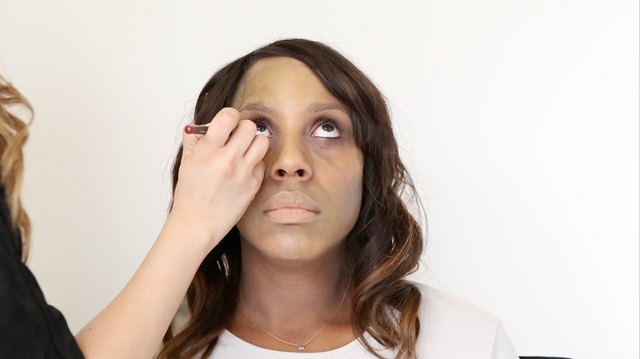 Use a beauty blender to dab yellow face paint onto the middle of your forehead, down the bridge of your nose, under your nose, the middle of your chin and along your cheekbones. Rather than using a beauty blender, you can cut the edges of a beauty sponge to create a more uneven application method. 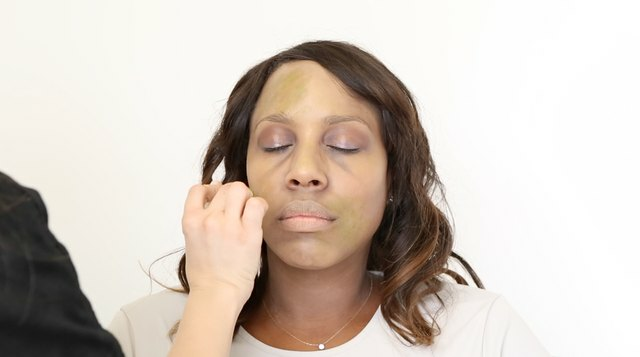 Use a beauty blender to apply green paint to your forehead, around your mouth and along your jawline. 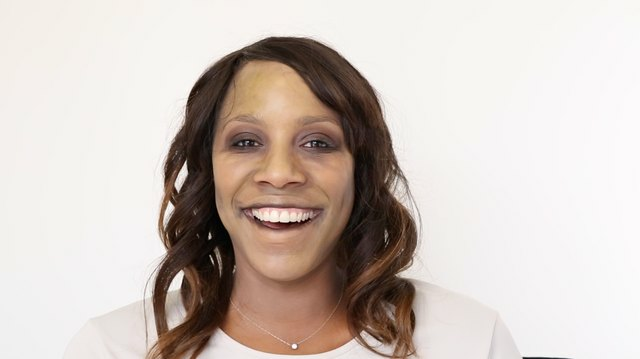 Apply grey face paint to your cheeks to create a hollow, sunken effect. Dab the paint on with a beauty sponge (or beauty blender) and blend with a flat-top brush. Use dark brown eyeshadow to darken the eye area. Applying it to your lower eyelids, along your under-eye areas and in the creases of your eyelids. Line your lower waterline with a red eyeliner pencil for that bloodshot look. 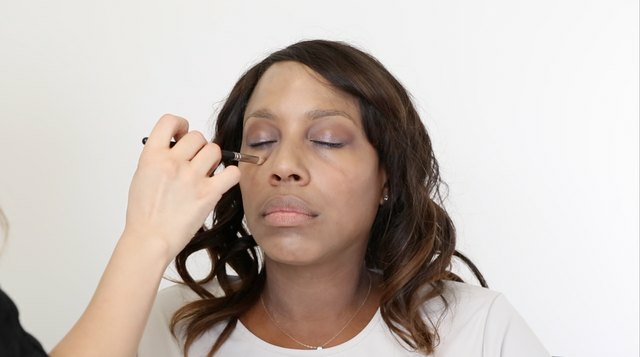 Blend purple eyeshadow on your upper and lower eyelids to further darken the eye area. Apply dark brown eyeshadow to the center of your lips and layer black eyeshadow over the very center of your lips. 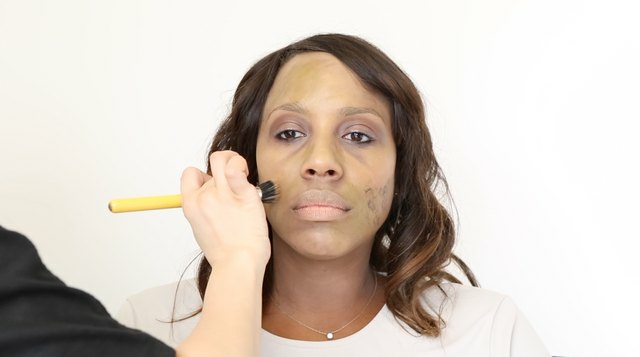 Mix together medium and dark brown shadows and apply to the corners of your mouth. Then blend with a beauty blender. Now you're ready to wreak havoc on the living.